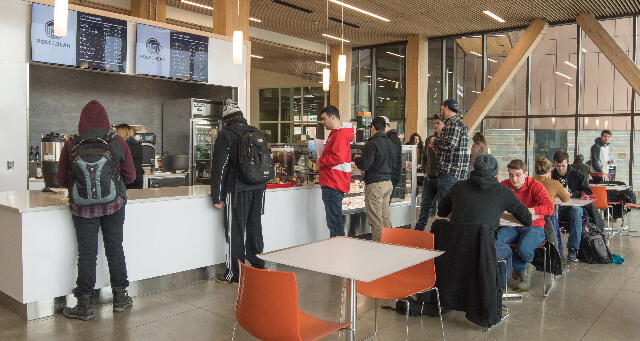 The Post and Bean Café is located in the John W. Olver Design Building. We proudly serve illy coffee and espresso beverages. The Post and Bean café also offers freshly baked pastries, gourmet sandwiches, snacks, and salads.